MCA Suite has Contact Statuses associated with all the "Person" records. A lead is any Contact (Person record) that is a Merchant and has a Contact Status of either a "Lead" or "Assigned." 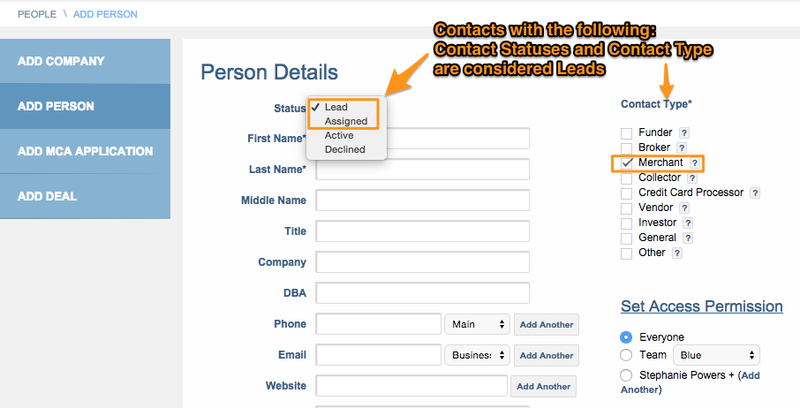 You will not find "Active" and "Declined" contacts on the Leads page. Refer to the Contact Statues article for more information. 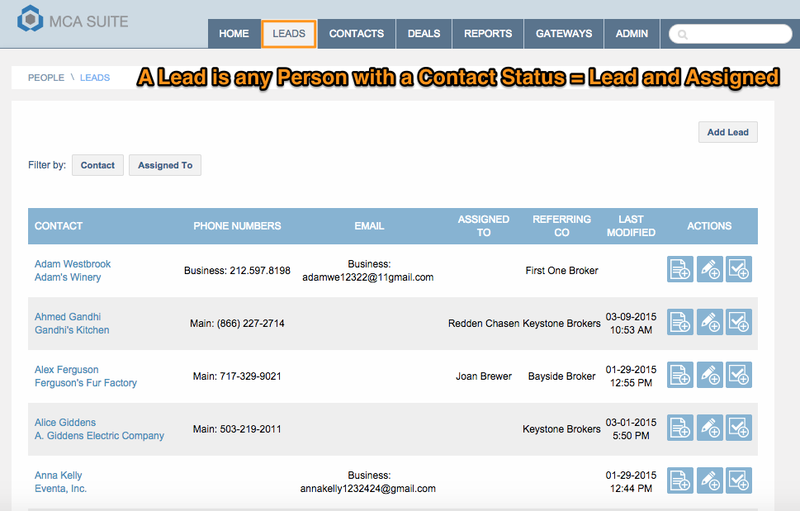 MCA Suite has grouped the Lead and Assigned contacts and displayed them in a tab called: Leads. 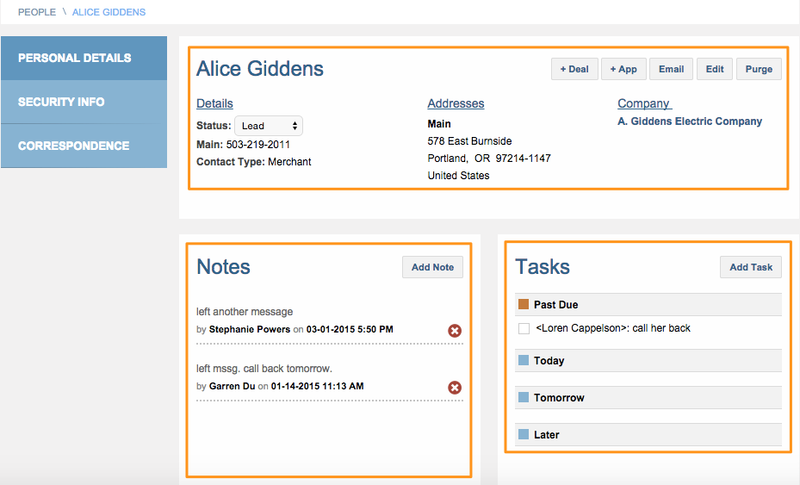 Similar to the Contacts and Deals tab, the Leads tab utilizes the same permission approach. This means users need to have the right access permission to view Contact. The Leads screen will be primarily used by users such as telemarketers responsible for converting these leads by getting the merchants to complete an application. 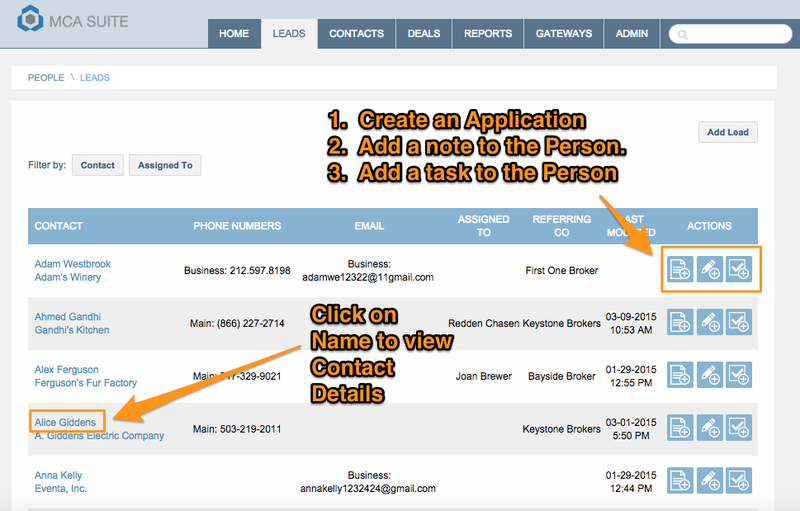 The "Actions" column on the Leads tab allows users to quickly create a merchant cash advance application with pre-filled information, and add a note and task to be associated with the contact (person).